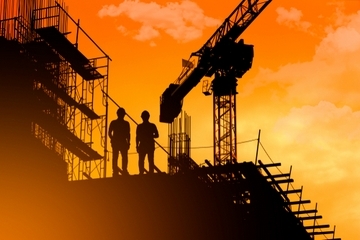 The UK construction industry enjoyed a stronger than anticipated recovery over the past few months. The industry has definitely got passed an earlier slowdown and is now moving the Bank of England closer towards an interest rate increase. According to a survey from the Chartered Institute of Procurement and Supply and IHS Markit in June 2018, the market experienced the largest upturn in construction material purchases in two and a half years. The purchasing managers index activity gauge- which the Bank closely surveys- reached 52.5 in May, up from 53.1 the month before and reaching the highest level in seven months, despite expectations that the reading would be static. Any PMI reading above 50 is a sign of economic growth. The industry rebound suggests that much of the difficulties experienced by UK builders earlier this year can be attributed to the "beast from the east" and was not due to bigger problems in the construction trade. © 2019 ACSAP Roofing Ltd. All Rights Reserved.